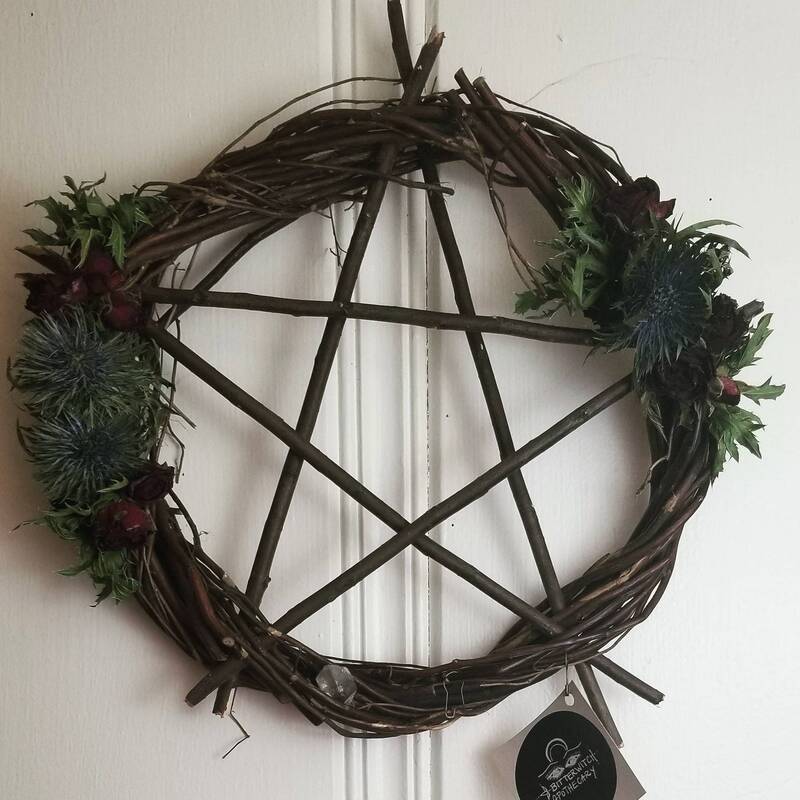 Willow Wreath Protective Charm 16"
Pentagram wreaths for inviting protective magic to your home and hearth while banishing bad energy. Your door is the portal to your sacred space and by adorning it with sweet reminders and powerful talisman you can invoke good spirits while simultaneously repelling negativity. These pentagram wreaths are made from willow branches for protecting our most sacred spaces. Willow is used extensively in magic from divining rods to broom making and healing magic. Each wreath is decorated by hand with thoughtful dried flowers and herbs. This one is decorated with roses to bring blessings, thistle for warding off anything negative or uninvited and Tibetan quartz to amplify and draw positive energy to your doorstep. A perfect addition when cleaning, cleansing and intention setting.